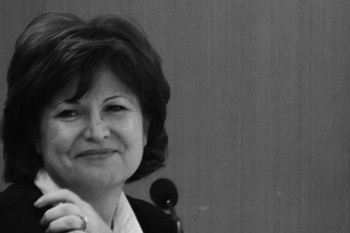 Hanan Kassab-Hassan has over 30 years of academic, research, and cultural management experience. Since she got her PhD in theatre from the Sorbonne in Paris and till the year 2012, she was a tenure professor and faculty member at the Damascus University in Syria. She was also the General Manager of the Damascus Opera House (2009-2011), the General Secretary of the Damascus Arab Capital of Culture festival for the year 2008 (2007-2009), and the dean of the Higher Institute of Dramatic Arts (2009-2011). On the international level she is member of several cultural organisations and associations among them the Strategic Committee of the “Conseil Cuturel de l’Union Pour la Méditerranée”in France (2009 to 2011), the Evaluation Committee at the IFPC-UNESCO (2014 till today), and the Board of the Roberto Cimetta Fund. Dr. Kassab-Hassan also directed theatre plays, managed workshops on dramaturgy, and wrote many research papers and articles in the fields of theater and the arts. She translated from French to Arabic and vice versa several theatrical texts, which included works by Jean Genet, Bernard Marie Koltès, Samuel Beckett, and Saadallah Wannous. She also co-authored a French-English-Arabic dictionary of terms and concepts of drama and performing arts, which is one of the main references in the field of theatre in the Arab world. 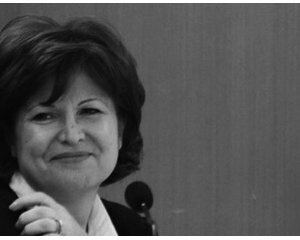 Dr Kassab-Hassan is one of the women presented in the Dictionary of Creative Women published in France, éditions Bellin, Des femmes, Antoinette Fouque), (2012). She was awarded the title of Officier de l’Ordre des Arts et des Lettres; as well as Chevalier, and later Officier de l’Ordre des PalmesAcadémiques offered to her by the French government for her contribution to the French culture. New York Times website, "A Lebanese Diva, Performing in Syria, Creates Drama in More Ways Than One"